Since I am not outside taking new photos today, I'll show you a few more shots from my trip to Maine last week. I am linking up today at Your Sunday Best with this photo taken in my mother-in-law's garden in Portland. I was so jealous of her garden and her big backyard--it's one of the things I miss most living in the city. I also took an inordinate amount of photos of my feet and of my shadow last week. I couldn't help it...every time I looked down they were there! If you are on instagram, you may have seen these already. 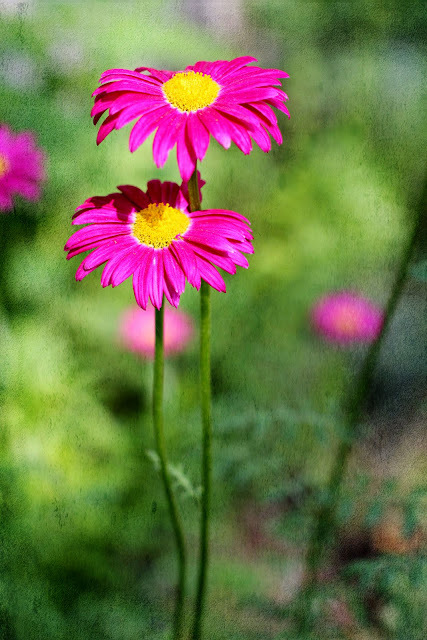 Thank you for using my texture in your flower image. It's lovely. The shadow shot is great! Love the dog looking up at you (I'm assuming it is you). 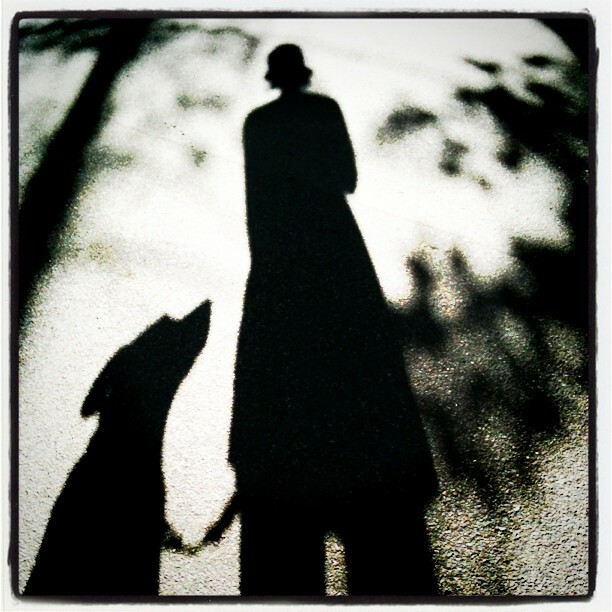 LOVING the shadow shot of you and your pup!!! What a funny line. LOVE it! Beautiful bright coneflower, UM. And your shadow shots are inspiring, as usual. I'm surprised you didn't comment on YSB today. I thought you would have been interested in the texture giveaway I'm hosting. Absolutely LOVE that first shot!! Really beautiful! Congratulations on the new iPad. You're going to LOVE it!! Gorgeous flower! I agree with you though, I should be outside at this very moment!! How cute! The dog is looking up at you like "let's get moving!". 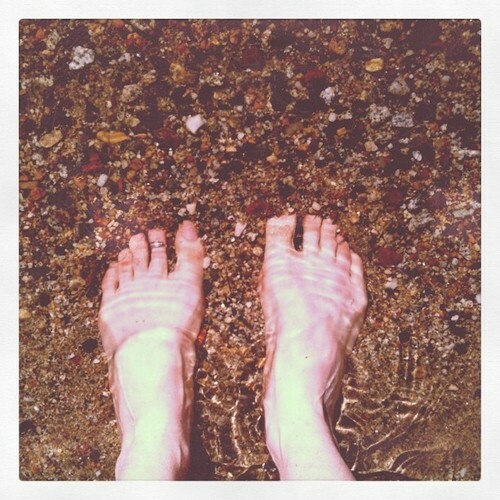 Feet in water...I can almost feel it. Nice! ooh, I love the shot of your feet in the water. Love the purple flowers photo...beautiful! Oh Urban!!! Run over to my blog and check out my Sunday Favorite post - - - - I have a nearly IDENTICAL shot of MY feet, only my sister's feet are in there too. Who'd a thunk we'd both post this silliness on the SAME day????? I said run - - - - don't walk. I love the dogwalker shadow shot! Love your shadow shot. So cute. I love that shot of Willow looking up at you ....if you can see love in a photo that is it! I know what you mean.I've had those days off where I go outside in the afternoon and think, man why didn't I come outside sooner. I wish I had an outside office and hammock. I'd lay outside and watch tv and work on the computer. Your feet shot is great... looking forward to being able to look down and see my feet again in a few weeks! It rained all last week but today it's sunny again... feel it's a day of outside ambling. I've been spending more time outdoors and less on the computer. Summer calls me :) Love the shot of your sweet Willow looking up at you! I hear you about getting out and yet I find myself glued to my computer editing and writing and blogging. So easy to fall behind quickly! Love the photo of you and the pup! But editing photos is so fun it's sometimes worth it! I definitely have those days when I think technology is taking over. Speaking of: I better get outside! I'm loving the effect on the flower shot. Goodness, I love that shadow shot! It's the moment in time shots like that, that take my breath away. Thank you so much for including it. My sister lived in Portland, ME for two short years. I loved visiting her there. It's a great city. Love those long dramatic shadows and all the patterns created by the light/water... so cool!